A recent puppy mill resident, Jeb, age 3, is learning to be a regular dog at the Champaign County Animal Welfare League. He’s ready for the next step - getting adopted and being a part of a family. 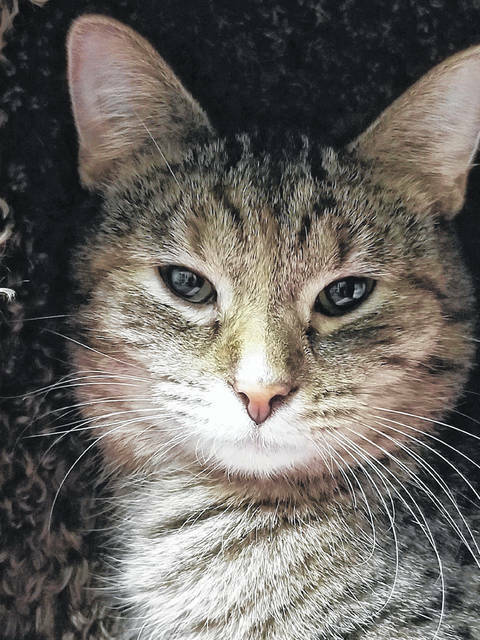 Charity is a sweet, but timid feline who needs a calm household. Pay her a call at PAWS Animal Shelter. Lucie, age 8, is available for adoption at Barely Used Pets. She is among pets in the Senior to Senior program. Lucie is an 8-year-old Rottweiler Lab mix. She is house trained, leash trained and loves to ride in the car. She is great with adults, children and other dogs. But No Cats. She chases them. Lucie is up to date on her vaccinations and is heartworm-free. Lucie is available in our Senior to Senior program or possibly a foster. We would like for this wonderful girl to spend her senior years in a loving home. Charity is a 1 1/2-year-old female domestic short-haired cat, who came into the shelter with babies last May. All of her babies have found homes, so now it’s her turn. She’s very timid and will need a low-activity home with someone who has a gentle hand and some patience. Charity really is a sweet girl. She is up to date on vaccinations and has been spayed. 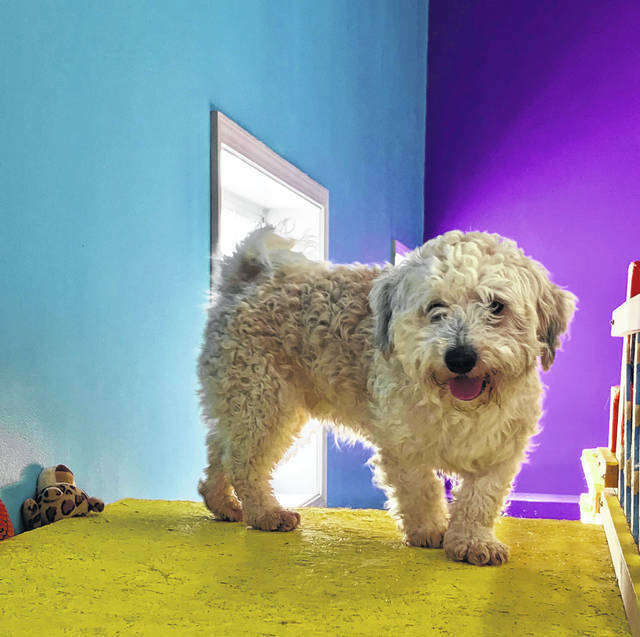 Jeb is a 3-year-old Havaneese/Bichon Mix who weighs 19 pounds. He was a surrender from a puppy mill. Jeb will need a little patience with socialization and house training. He has no aggression, but is reluctant until he gets to know you. Jeb is great with other dogs. He has been neutered, microchipped and current on all vaccinations: Da2PPL, Bordatella, BiValent Flu and rabies. Jeb has been dewormed and heartworm tested negative. He is also current on flea and heartworm prevention and has had a dental cleaning. A recent puppy mill resident, Jeb, age 3, is learning to be a regular dog at the Champaign County Animal Welfare League. He’s ready for the next step – getting adopted and being a part of a family. https://www.urbanacitizen.com/wp-content/uploads/sites/36/2019/01/web1_LeagueDog-2.jpegA recent puppy mill resident, Jeb, age 3, is learning to be a regular dog at the Champaign County Animal Welfare League. He’s ready for the next step – getting adopted and being a part of a family. https://www.urbanacitizen.com/wp-content/uploads/sites/36/2019/01/web1_PawsCat-2.jpgCharity is a sweet, but timid feline who needs a calm household. Pay her a call at PAWS Animal Shelter. 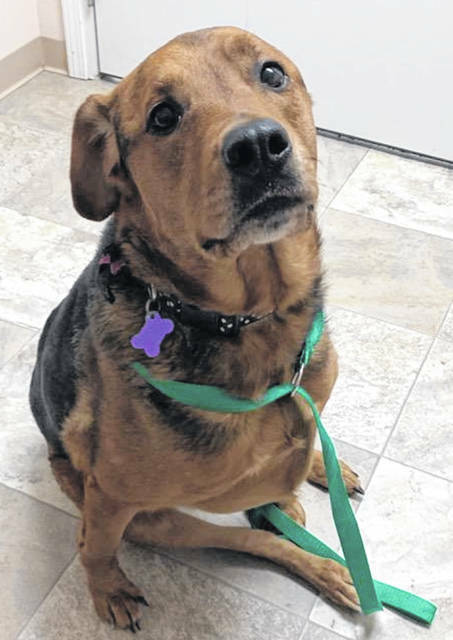 https://www.urbanacitizen.com/wp-content/uploads/sites/36/2019/01/web1_BarelyDog-3.jpgLucie, age 8, is available for adoption at Barely Used Pets. She is among pets in the Senior to Senior program.